facebook advertising is the most useful and effective method for driving sales and traffic to your business or website. its mainly bescause facebook is the worlds most popular social networking site and billions of people are active on facebook everyday. its the most favourite place on internet where people love to spend theor time. we have to admit it now , internet is our virtual home now and facebook is its garden. we spend most of our time on internet whether at work or at our real home. actually we spend less time in our real home and spend more time in our virtual home. whether its a curse or a blessing ,i dont know.may be its consequences will come in effect after 100 years from now and most of us wont be here to see it. now that we have decided to spend most of our time at our virtual home and mostly in its garden i.e., facebook , it has become the best place to deliver your ads. facebook advertising is the most favourite ad campaign for the bussinesses. cost effective – facebook advertising is much cheaper than any other ad platforms . you can select manual bid rates or automatic bid rates according to your choice of business. facebook advertising allows you to have full control over your budget. you have the option to select cost per click and cost per thousand impressions. so you have the option to cut your budget according to scale of your business. insights of your ad – facebook advertising allows you to have a clear insight of your ad whether it is performing well or not. you can always edit your preferences and audience location and interest if you think your ad is not been shown to right people. you can have a clear view of your strategies whether it is working for you or not. extensive targeting – facebook has a clear cut view of what every user is interetsed in and people are willingly allowing facebook to know their interest directly or indirectly. facebook has a very cunning way of knowing its users . so you dont have to worry whether your audience is interested in your ad or not. facebook advertising promises you to show your ads to the right people with desired interest. better than adwords – adwords is undoubtedly a very powerful advertising platform . it increases your visibility on the internet to a great extent but it has limitations depending upon what you are promoting google adwords is mainly used for increasing visitors to your site and getting conversions targetting specific keywords . facebook adverising helps us getting businesses from all interetsed people at once without any specific keyword use. facebook advertising gives us engaging followers really fast. you can learn more about facebook advertising through digital marketing course in Delhi at techstack. Created on Mar 4th 2019 06:18. Viewed 177 times. 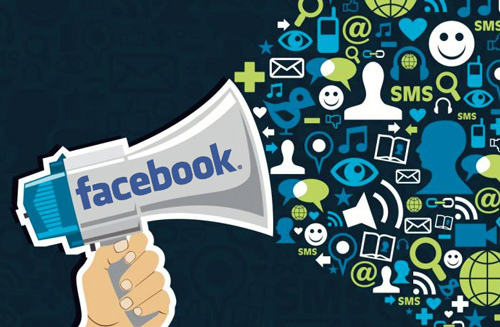 How To Make Advertising Business on Facebook Effective?